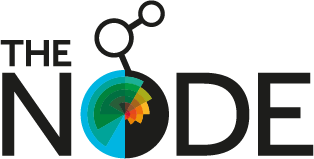 At the 2017 Spring Meeting’s AGM in Warwick, three new BSDB committee members were elected to take term in autumn. Please, read here about their careers and research interests. For an overview of all committee members, please go to the “About us” tab on our website. For a list of all awardees of the last Spring Meeting visit our earlier post. Cynthia is a tenured Lecturer at the Craniofacial Development and Stem Cell Biology division at King’s College London [LINK]. She has a degree in Genetics and Microbiology from Queen Mary University of London, and a PhD in Anatomy from University College London. As an undergraduate she used cytogenetic approaches to investigate the phylogeny of an allotetraploid iris (Andrew Leitch lab). Her PhD in the group of Robin Lovell-Badge (National Institute for Medical Research) focused on the function of Sox2 in maintaining the multipotent identity of neural stem cells. 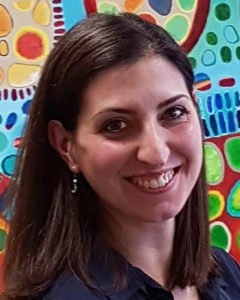 Her postdoctoral work in Juan Pedro Martinez-Barbera’s lab (UCL Institute of Child Health) explored the mechanisms through which the developing anterior forebrain is prevented from acquiring posterior fates and demonstrated that key transcription factors in this tissue mediate this by repressing WNT targets. This sparked her interest in the WNT pathway. It led to studies focusing on its influence during pituitary development and to the generation of mouse models for human developmental pituitary tumours as well as the finding that these arise due to the paracrine actions of stem cells that activate this pathway. Using mouse genetics she demonstrated the in vivo function of pituitary stem cells during embryonic and postnatal development. She started her independent research group in 2013 at the Craniofacial Development and Stem Cell Biology division at King’s College London, where she is a tenured Lecturer. Her research is supported by an MRC New Investigator Award and a Lister Institute Research Prize Fellowship. Her group focuses on the regulation of the stem cell pool and the signalling mechanisms mediating stem cell decisions, with a focus on non-cell autonomous regulation. She is involved in teaching developmental biology and stem cell biology to undergraduate and postgraduate students and in the dissemination of science through numerous public engagement and educational initiatives. Benjamin is a Wellcome Trust/Royal Society Sir Henry Dale fellow at the Department of Genetics, University of Cambridge [LINK]. He has a Biochemistry degree from the University of Bath and a PhD from University College London. His interest in early neural crest development began as a project student working with zebrafish in the lab of Robert Kelsh. This interest continued during his PhD with Roberto Mayor, looking at the timing of neural crest induction in Xenopus. He showed that the order of presentation of extracellular signals is essential for the correct induction of the neural plate border and neural crest genes during gastrulation. After obtaining his PhD in 2008 he moved to KCL to work with Andrea Streit and began working with the chick model. During this time he was interested in the mechanisms that pattern and orchestrate cell fate decisions and movements of the early embryonic ectoderm. Together with the Mayor lab, he uncovered a novel ‘chase and run’ mechanism that is important in both driving the directional migration of the cranial neural crest and the organisation of pre-placodal cells into distinct placodes. He also investigated a conserved role for the Gbx2-Otx2 boundary in organising the peripheral structures of the developing nervous system. Subsequently he moved to the lab of Jean-Francois Nicolas and Estelle Hirsinger at the Institut Pasteur, Paris. Here, he went back to working with zebrafish embryos in order to get a complete understanding of the tissue deformations that lead to the elongation of the embryonic body axis. 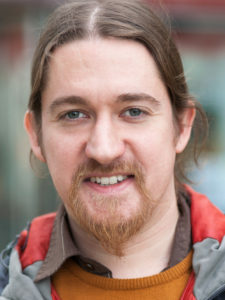 In order to develop imaging and analytical techniques to study this process at the cellular and molecular levels, he was awarded a Marie-Curie fellowship to work with Scott Fraser (University of California, USA) and Alfonso Martinez-Arias (University of Cambridge). Ben started his independent research group in 2016 within the Department of Genetics, University of Cambridge. He is currently supported by a Wellcome Trust/Royal Society Sir Henry Dale fellowship. The lab applies live and quantitative imaging techniques to investigate how cell fate decisions are orchestrated in space and time during axis patterning in zebrafish embryos. While a zebrafish performs this with little overall growth in embryo size, higher vertebrates like mammals undergo a large degree of growth. His lab is interested in how such fundamental differences in embryo size, cell number and energy supply have influenced the interpretation of conserved regulatory networks and patterning mechanisms by individual cells. What are the limits of adaptability and developmental constraint that are encoded within developmental systems during vertebrate evolution? Clare is Reader in Comparative Developmental Neurobiology at the University of Cambridge, in the Department of Physiology, Development & Neuroscience [LINK]. As a PhD student at Cambridge with Janet Heasman and Chris Wylie, Clare described the first molecular marker of migrating lateral line placodes in Xenopus. During her postdoctoral training with Nicole Le Douarin (Institut d’Embryologie du CNRS et du Collège de France, Nogent-sur-Marne, France) and Marianne Bronner-Fraser (Caltech, Pasadena, CA, USA), she used the quail-chick chimera technique to show that early- and late-migrating mesencephalic neural crest cells have equivalent potential, and to study the development of the trigeminal placodes. 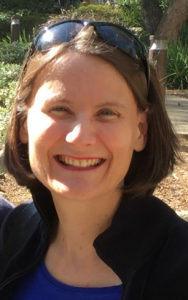 Clare set up her own lab in Cambridge in 2002, where her research currently has two main strands. The first is the development of olfactory ensheathing glia cells, which are of clinical interest since they can promote nerve repair when transplanted into the damaged spinal cord. Using grafting techniques in chicken embryos and genetic lineage-tracing in mice, Clare’s lab discovered that these cells are derived from the neural crest, like all other peripheral glial cells, and not from the olfactory placodes as previously thought. The lab is currently investigating how olfactory ensheathing glia cells develop from the neural crest, and their role during the embryonic development of the olfactory system. Her group’s other main focus is the evolution and elaboration of neurogenic placodes and the neural crest, with an emphasis on sensory systems, including the mechanosensory paratympanic/spiracular organ, the chemosensory carotid body, and the electrosensory division of the lateral line system. To answer questions relating to the development and evolution of these sensory organs, her lab has worked with the embryos of a wide range of vertebrates, including lamprey, shark, skate, paddlefish, sturgeon, catfish, zebrafish, axolotl, Xenopus, mouse and chicken.